Born and raised on GoombaStomp, Nintendo’s Newsworthy is a weekly news column reporting on Nintendo’s news. This week, the Switch event dominates the internet! This column will be split into three major segments — first the Switch’s hardware and features, then its software, and finally all of the news released since the presentation. 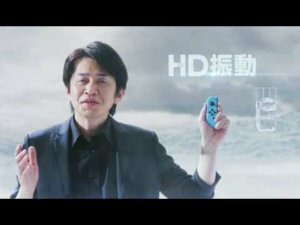 The Nintendo Switch will be released March 3rd in Japan, The United States, Canada, major European countries, and Hong Kong. This is startlingly soon, which shows that Nintendo is experimenting a bit with this launch. The Wii U released about two years after it was revealed, and that didn’t prove effective — Nintendo must have learned their lesson. It will cost $299.99 at launch (in the States). This was about what most expected, considering the Wii U basic bundle cost the same when it launched. Unlike the Wii U and 3DS, the Switch will not be region locked. Most see region locking as a generally negative feature, especially for portables like the 3DS, so the Switch being region free was a smart move on Nintendo’s part. The Switch’s battery life will vary by game, ranging from 2 ½ to 6 ½ hours. This comes at no surprise and at no relief, as that battery life is quite low. One can gather that games such as Breath of the Wild will fall under the 2 ½ battery range, and virtual console games will have the system running for 6 ½ hours. The saving grace, however, is that the Switch will support the micro-USB C charger. This also means the support of most portable batteries. This is in contrast with every other Nintendo controller and handheld, which use chargers that are either dated or specifically meant for Nintendo peripherals. Similar to the 3DS and DS before it, the Switch will support local, wireless multiplayer, meaning you can play with friends without using an internet connection. This local play can sync up to eight Switch consoles, which is exceedingly impressive and innovative. Imagine linking with seven of your friends to play Splatoon 2, Mario Kart 8 Deluxe, or Super Smash Bros. — all without internet or even televisions. The Joy-Cons, the Switch’s two combinable controllers, have been described in heavy detail. Both the right and left Joy-Cons come with built-in accelerometers, meaning motion controls are here and accounted for. They also have an advanced form of rumble referred to as “HD rumble.” This is meant to simulate reality in a new way by vibrating in different sections of the controller and at different levels of intensity. The HD Rumble demonstrations compare the controller to a cup filling with ice cubes. The Switch itself comes with two straps that attach to the Joy-Cons, similar to those found on Wii Remotes. They also help the controller feel more symmetrical while making the L and R buttons more protruding and easier to press. The right Joy-Con has an AR sensor, also similar to the one found on the Wii remote. It can recognize certain gestures and can tell a difference in the space in front of it. The Joy-Cons come in two different color configurations: either all gray or neon blue and neon red. These will be sold in two separate Switch bundles. Sadly, Nintendo will be charging for their online services this time around. But, they come packed with a few more features. Subscribers will have access to the Switch’s phone application, which allows them to connect with friends, start games, and voice chat all from their phone. The app also allows for more in-depth parental controls, as shown in this indescribably adorable video. Subscribers will also be offered one free NES or SNES game a month to be played for free only that month, which is near useless, especially when compared to PSN which provides a different load of free games each month that remains playable until the membership runs out. There’s been no word on the price of this service. Hopefully, it will be somewhat reasonable. Nintendo has finally upped their touch screen technology. For those uninformed, a capacitive touch screen is found on most smartphones. This means the screen cannot be touched with anything but your fingers and will remain much cleaner. This is a step that Nintendo should have taken a long time ago. This can also signify the use of a multi-touch interface and other new features. A Wii Sports-esque title has been announced for the Switch’s launch. 1, 2, Switch is meant to be played without looking at the screen, so the players have to use audio cues and controller vibrations to best their opponents. A wholly new Nintendo franchise has been born in the form of Arms. It’s a motion controlled fighting game, involving punching with spring-loaded fists that can curve and move with a twist of the controller. Unfortunately not called ‘SplaTWOon,’ the sequel to the already cemented Nintendo classic has been announced. A new hub, new hairstyles, new guns, new abilities, and new maps were shown in its reveal trailer and all look great. Because the Switch is lacking the Wii U’s gamepad, players don’t have a constant map during battles, meaning they can’t warp as instantly by tapping their teammates on the touchscreen. However, they can pull up a map and press a button to warp to one of their teammates. A brand new 3D Mario title has been revealed, and it looks amazing. Super Mario Odyssey takes Mario on an adventure around the world. The levels shown have a huge amount of variety, including a frozen desert, a polygonal food land, and even an actual city filled with regularly proportioned humans. Mario is able to throw his hat and use it as a platform and presumably attack enemies. Bowser seems to have the same ability, throwing his top hat at Mario as a form of attack. In fact, this hat theme seems highly prevalent in Odyssey. There are hat stores littering the levels, different enemies wear different caps, and Mario’s cap seems to be sentient. Developed by Monolith Soft, the sequel to the Wii classic will be coming to Switch. The original Xenoblade Chronicles was more story focused than X (the one on Wii U), and its sequel seems to sport the same ideals. Developed by Koei Tecmo, Fire Emblem Warriors has been confirmed for Switch. This game was heavily rumored, and most fans were excited at the prospect of a Dynasty Warriors style Fire Emblem game. The gaming giant has a few more tricks up its sleeves. First off, Dragon Quest Heroes and its sequel will be coming to the Switch. The Switch seems to be receiving a heavy load of Dragon Quest games, so fans of the series have a lot to look forward to. Square Enix also revealed an entirely new RPG. Titled Project Octopath Traveler, it has a beautiful, pixelated art style and seems to be a call back to the Final Fantasy of old. The next entry in the famous series was saved for last during the Switch event and for good reason. An absolutely breathtaking trailer was shown, sporting voice acting, heavy story beats, and countless new mechanics. Many returning characters and races were shown, such as Zelda and Goron, but it’s best if you see for yourself. During different points of the presentation, various third party developers discussed the games they’re bringing to Switch. A crossover between Puyo Puyo and Tetris, appropriately titled Puyo Puyo Tetris, was revealed. It involves two players playing both games at the same time and battling. Mere hours after the Switch presentation, Nintendo announced a Fire Emblem Direct coming later this month. Fire Emblem Warriors will most likely make an appearance, receive a new trailer, and maybe even a release date. Considering this direct is so close to the Switch’s launch, this game could be a launch title. Here’s hoping. There’s also a high chance of Nintendo showing the Fire Emblem mobile game that they’ve already confirmed for 2017, which is exciting. Mario Kart 8 is going to be ported to the Switch with all of its DLC, new characters (including the boy and girl Inklings), new items, and a new battle mode. All of the official Nintendo Switch accessories have been priced, and fans are not happy. The Switch Pro Controller: $69.99 USD. Many see these accessories as much too costly. Reportedly, the Joy-Cons feel extremely comfortable to use, so hopefully most of these accessories will be unnecessary. Nintendo has revealed that both features will be absent on the Switch. Miiverse and StreetPass, found on the Wii U and 3ds respectively, were online services adored by many fans, so their absence will be noted by some. Although, most probably won’t even notice. Who knows how long Nintendo will keep these services alive after the Switch’s launch. Most likely, neither are long for this world. Damon Baker of Nintendo has stated that more games will be revealed for the Switch and that fans should “stay tuned for more updates in the coming weeks.” Hopefully, these updates can lay to rest some concerns many have over the Switch’s launch lineup. Reggie Fils-Aime, president of Nintendo of America, also spoke about Mother 3 and Metroid. He stated that Nintendo is aware of the fan’s demands and understands that some key franchises are highly requested. He says that more details on these games will be revealed soon enough. This was a humongous week for Nintendo and the Switch (with various ups and downs). The positivity on the internet surrounding the Switch has gone way down since its original reveal, but, personally, I couldn’t be more excited. Here’s to a prosperous year for Nintendo. Is ‘Final Fantasy XIII’ Unfairly Hated? Online services detailed? Not really. They informed us on somethings, but I wouldn’t call what we got detail.